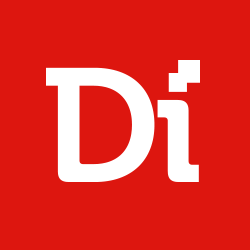 WordFinder is a proprietory Digiteum solution fueled by Oxford Dictionaries API that lets users search out any word by a part of speech, known letters, or simply the number or characters. 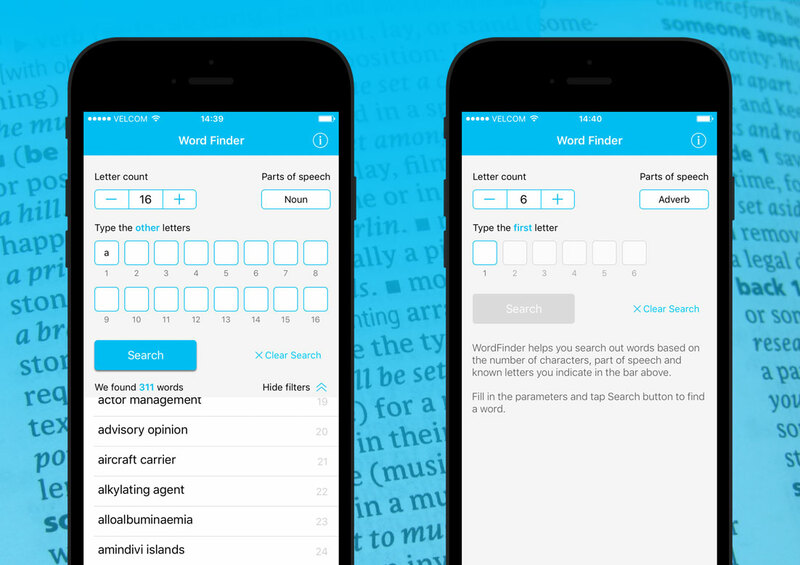 This form-based app allows you to find words or word combinations, fill the gaps in spelling and word formation knowledge and even finish half-filled crosswords. 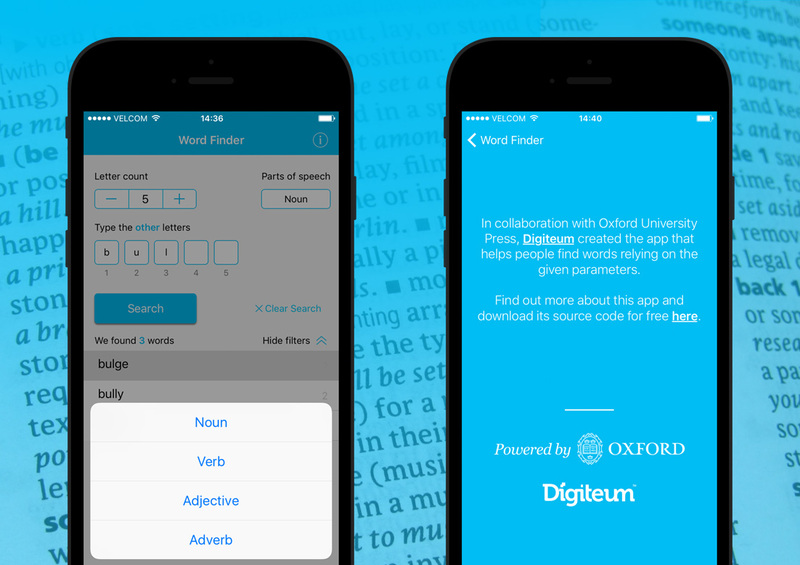 Integrated with Oxford Dictionaries API and allows to search out and verify words and word combinations against the world largest lexical data storage. Allows to find words by the number of characters, known letters or a part of speech. Provides variations of stem words and various parts of speech to study word combinations and morphologic variations. Makes vocabulary expansion and language improvement simple thanks to easy form-like interface.